These sterling silver kidney wires with ball and safety catch are great quality ear wires. 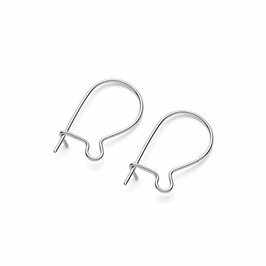 They are sturdy enough to hold their shape and they have an all-important safety catch to prevent your favourite earrings from slipping out of your ear. 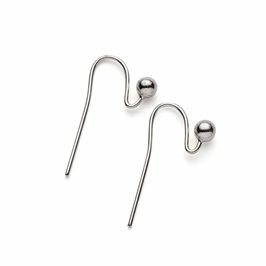 The ball provides a nice detail to compliment any earring designs, they are approximately 13mm. 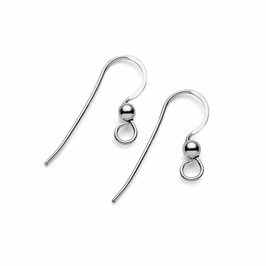 Why not echo the style by using our sterling silver head pins with a ball to make some beaded drops for a really cohesive look? If you need a lighter kidney wire, click here. 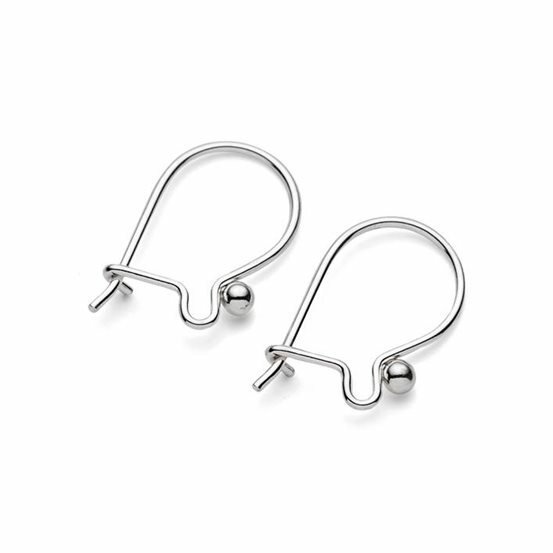 Attach your earring drops to the loop to create gorgeous drop earrings and gently squeeze it shut for extra security if required.